Beauty week may have been last week, but that’s no reason to shelve some lovely product suggestions for your gift-giving dilemmas. Today’s gift was basically shoved under my nose – and applied to my face – on a harried visit to Shopper’s Drug Mart many months ago, and I haven’t looked back since. 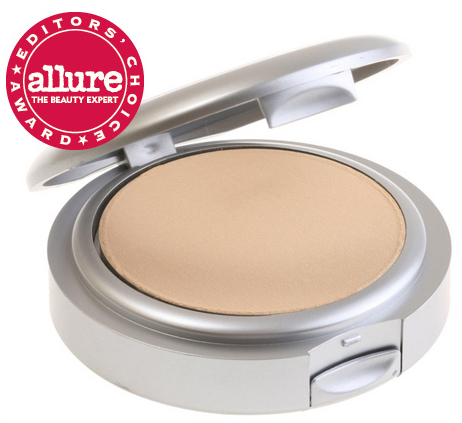 purminerals finds its foundation – mild pun intended – in their 4-in-1 mineral powder, which combines concealer, foundation, powder, and SPF 15 for a natural, all-in-one product that gives your skin a flawless finish in an instant. When applied with the company’s signature chisel brush, it blends perfectly for a makeup-artist-professional look that also protects for just $25. Have a friend that loves to take things for a test run before committing? 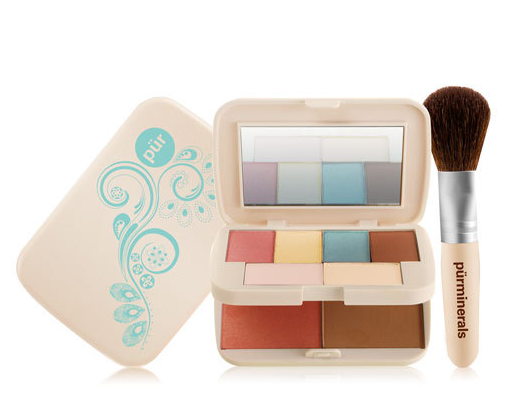 For $37 you can snap up a starter kit tailored to their skintone, including the 4-in-1 mineral powder and a complimentary bronzing powder, blush, and the chisel brush. They’ve even got a video on their website to outline the whole application process. The brilliant thing about this line, aside from the fact it doesn’t make you look powdery, it protects your skin, and it’s full of natural minerals, is the low pigmentation of the products, particularly the bronzer and the blush. Bye-bye cherry red cheeks and muddy brown foreheads, hello glowing, flushed goddess. Since the powder line has taken off, the company is constantly adding new items to their roster. You can snag all sorts of powders, blushes, bronzers, shadows, and lipcare, plus the tools to make your friends and family insta-beautiful, all at quite reasonable prices, and most importantly…excellent accessibility. You can order online with shipping rates between $6-$8 (or free with a purchase over $50) or you can simply head down to your local Shopper’s Drug Mart – every one that I’ve been to is carrying the line – and take it for a test run yourself. Best case scenario? Drag your giftee down there to make sure you’re getting the right shade, and pick up the starter kit for their birthday or other special event. I totally tried this out at Shoppers after this post. THanks for the insight! Thanks for the write up on Pur Minerals. I will consider it next time I’m out shopping for make-up.